To celebrate the 20-year anniversary of when Billboard began using Nielsen BDS-based monitoring technology to measure how well songs performed on mainstream radio, Billboard.com has revealed which songs have had the most success since Oct. 3, 1992. Focusing on the Pop Songs chart over the last two decades, the Goo Goo Dolls' 1998 hit "Iris" took the number one spot on the list while artists like Nickelback, Nelly Furtado and Avril Lavigne were the only Canadians to make the cut. In order to determine the placement of each song on the chart, Billboard explains, "Songs are ranked based on an inverse point system, with weeks at No. 1 earning the greatest value and weeks at No. 40 earning the least. To ensure equitable representation, certain time frames were weighted to account for the difference between chart turnover rates during those years, as recurrent rules have changed multiple times." 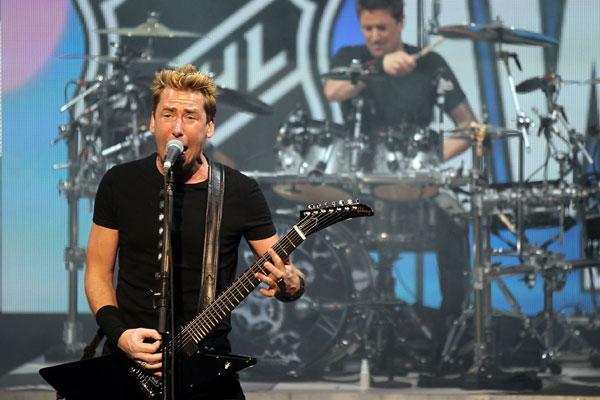 With the most entries on the list, Nickelback appeared most frequently with their hits "Someday," "Far Away," and "How You Remind Me" all scattered throughout the Top 100. Coming in at number 91 on the Top 100 list is 2004's "Someday," which spent 31 weeks on the Pop Songs chart peaking at number two, while "Far Away" made it to number 49 on the Top 100 spending 25 weeks on the Pop Songs chart and reaching number one in 2006. Narrowly missing the top 10 is the band's tune "How You Remind Me" from the album "Silver Side Up" that spent 29 weeks on the Pop Songs chart in 2001 and went all the way to number one. Taking up two spots on the Top 100 Pop Songs of the last 20 years chart is Nelly Furtado whose tracks "Say It Right" and "Promiscuous" both made the cut. In 2007, Furtado's "Say It Right" spent 28 weeks on the Pop Songs chart, peaking at number one and tied with Maroon 5's "This Love" at number 85 on Billboard's Top 100 Pop Songs of the last 20 years list. Outdoing herself, the B.C.-native also made it to number 68 on the Top 100 with her 2006 track "Promiscuous" off her album "Loose" featuring Timbaland, which spent 15 weeks on the chart and also went to number one. Napanee, Ontario's Avril Lavigne has only one tune on the list: "Complicated" came in at number 73 on the Top 100 countdown, previously spending 26 weeks on the Pop Songs chart in 2007 and going all the way to number one. It's interesting to note that songs by bands like Simple Plan and artists like Alanis Morissette did not make the cut even though their chart performance has been impressive. Between 2003 and 2004, tracks like "Perfect," "Addicted," and "Welcome to my Life" all earned Simple Plan ranks on the Pop Songs chart spending 26 weeks, 25 weeks and 17 weeks on the Pop Songs chart, respectively. Yet, with the points system that was devised for the Top 100 list, they were left off it completely. Also, Morissette, whose songs from "Jagged Little Pill" like "You Learn" (26 weeks,) "Head Over Feet" (26 weeks,) and "Ironic" (27 weeks,) all had residence on the Pop Songs chart and all reached number one, didn't make it on to Billboard's Top 100 Pop Songs of the last two decades.